Senate Bill 376, “NC Patriot Star Family Scholarship/Funds,” would direct more college scholarships to military families. Over the next two years, the bill would push $1 million from the General Fund to the Patriot Foundation, a private organization that supports families of soldiers killed or wounded in action. It mainly serves families with service members stationed at Fort Bragg. The program will provide scholarships to children and spouses of veterans who die in combat, or who became ill as the result of terrorist attacks. The bill’s primary sponsors are Senate Majority Leader Harry Brown, R-Onslow; Sen. Jim Perry, R-Lenoir; and Sen. Norman Sanderson, R-Pamlico. S.B. 376 unanimously passed and heads to the Senate Appropriations Committee. State law now bans teens from doing hands-on welding and manufacturing internships. Senate Bill 391 would ease some of those rules. It’s hard to teach a kid to weld if they aren’t allowed to use the machinery, said Jody Phillips, vice president of Smith-Rowe, a Mount Airy-based construction company. Loosening constraints on teen interns is a great way to ensure high schoolers are trained and ready to go to work, he said. Travis Reeves, superintendent of Surry County Schools, also spoke for the legislation. Students should be allowed, with appropriate supervision, to venture onto the floor of manufacturing plants and develop hands-on skills, Reeves said. S.B. 391 includes several work criteria. The bill stipulates that work with the machinery should be intermittent and short, and performed under close and qualified supervision. The employer would be required to send a copy of any internship agreements to the commissioner of Labor. S.B. 391 was approved and heads to the Senate Rules Committee. Senate Bill 392 would allow the superintendent of Public Instruction to approve issuance of private activity bonds for charter school facilities after a public hearing. Private activity bonds are tax-exempt bonds issued by or on behalf of local or state government to help finance special qualifying projects that would otherwise be considered private activities. The law requires that qualified private activity bonds be approved by the governmental entity issuing the bonds and from a governmental entity with jurisdiction over the area where the facility would be located. Under S.B. 392, the state superintendent — currently Mark Johnson — could authorize a private activity bond to finance a charter school facility. Sen. Deanna Ballard, R-Watauga, one of the primary sponsors of the bill, said the legislation is necessary because some local elected officials don’t want to be associated with charters and vote against approving new ones. This opposition saddles charter operators with more debt. S.B. 392 gives charter operators another avenue to pursue when looking for a private activity bond. Ballard said the State Treasurer’s office has no objections to the bill. The committee voted to approve S.B. 392 and forwarded it to the Senate Finance committee. Sen. Rick Horner, R-Nash, said Senate Bill 476 can be described as a reset of discipline policies in the state’s public schools. On Jan. 8, 2014, the U.S. Department of Justice and the U.S. Department of Education issued guidance to public K-12 schools about administering school discipline without discriminating on the basis of race, color, or national origin. Local school districts were required to implement rules complying with the guidance. In 2018 the ruling was reversed. Horner said the bill allows local school districts to re-evaluate disciplinary policies in light of the reversal. The bill passed the committee and heads to the Senate Rules and Operations Committee. Sen. Tom McInnis, R-Richmond, said his district is struggling with teacher shortages, and not enough is being done to address the problem. Not only do many of his school districts have vacancies, one even has seven full-time substitute teachers. To address the teacher shortage problem, McInnis, along with Sens. Jerry Tillman, R-Randolph, and Todd Johnson, R-Union, introduced Senate Bill 219. 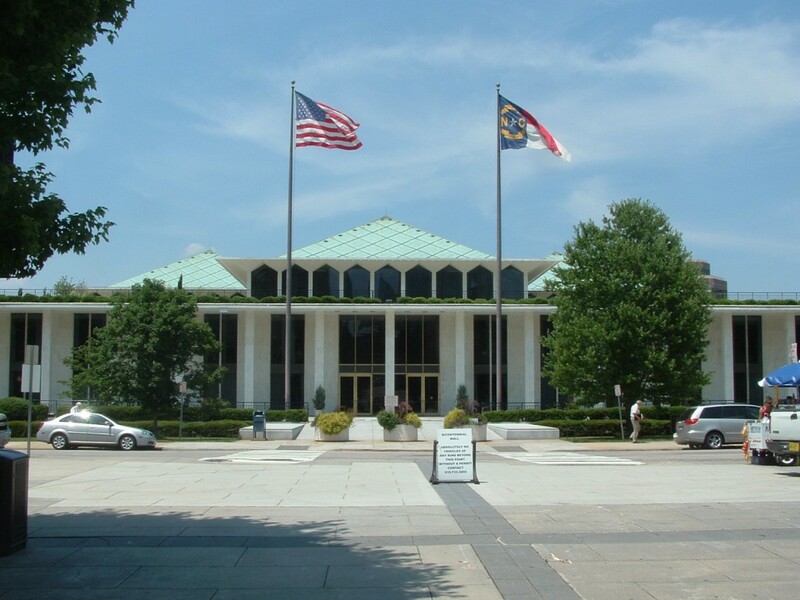 The bill was initially designed to make it easier for out-of-state teachers to become licensed in North Carolina, but the State Board of Education approved rule changes last week, and senators introduced a proposed committee substitute. The PCS addresses the same problem of teacher shortages but in a different way. The new version of S.B. 219 would allow a local superintendent and a school principal to sign off on a limited license for a teacher who has failed to pass their licensing exam. The teacher would be allowed only to work in the district that granted the license for three years. If they have still failed to pass the licensing exam after temporary license expires they could apply for a renewal, but the local superintendent and principal would have to sign another affidavit. “The long and the short of this … we have a specific instance of a kindergarten teacher who can’t pass her test. She has testing anxiety,” McInnis said. Although the kindergarten teacher has high EVAAS scores, McInnis said, her anxiety keeps her from passing her licensing exam and out of the classroom. Just last May, she had to leave her classroom. S.B. 219 would have granted the kindergarten teacher more time to pass her licensing exam and keep her in the classroom. Sen. Gladys Robinson, D-Guilford, suggested amending the bill to exclude teachers who teach higher level STEM courses. Robinson said she was concerned about having teachers who can’t pass the relevant sections of the licensing exam being allowed to teach STEM courses. McInnis said his districts need help now dealing with teacher shortages. The bill was only up for discussion. A vote will be held at the committee’s next meeting.